This is a photo from my archives that works perfect for today’s prompt “Solitude”. 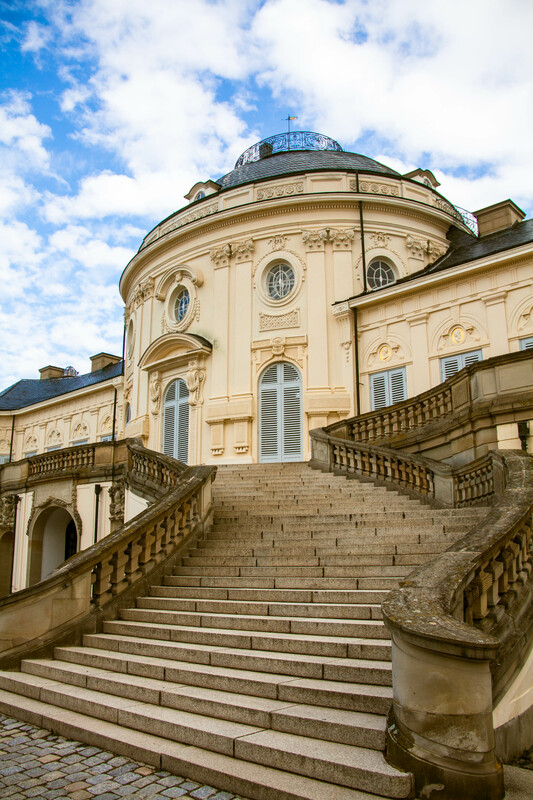 There is a beautiful estate that’s not to far from my home called Schloss Solitude (Solitude Palace inEnglish). According to the visitor’s information, Duke Carl Eugen commissioned the residence in 1763 to serve as a hunting lodge and summer residence. It was considered very lavish for its’ and is still very beautiful with the surrounding woodlands and views that overlook the city. I don’t get out to Solitude as often as I wish, but I hope to visit again soon! Thank you! It’s such a beautiful estate and I hope that I captured the essence of it. This is such a beautiful, clear, crisp image – even the clouds are on your side for this photo – it is lovely :). LOL! Thank you. I was really lucky to visit Schloss Solitude on such a beautiful day!